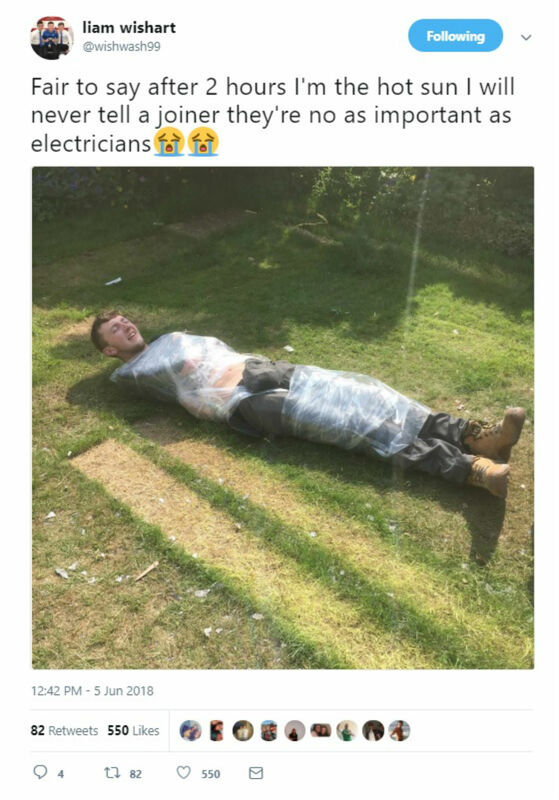 A HILARIOUS picture shows a Scot lying on the ground, wrapped in plastic after being pranked by his workmates – who left him there for two hours. Liam Wishart, from Danderhall, Midlothian, was at work on Friday (JUN 1) when he got into an argument with three joiners on site – over which was the best trade. The electrician boldly claimed his trade was “superior” – which didn’t go down well with the rest of the tradesmen. 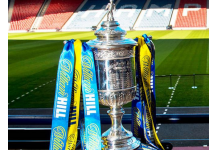 Unfortunately for the 19-year-old he was outnumbered at the work site near Murrayfield in Edinburgh. As revenge for his cheeky remark, the three tradesmen wrapped him up in plastic and left him baking in the sun – for two hours. Liam later revealed that the men also waxed his stomach and legs during the prank. The photograph shows Liam lying on the grass in a garden – with plastic wrap around his torso and legs. The 19-year-old has his arms folded under the plastic wrap, making it difficult for him to move – and his top pulled half way up. Social media users were unsympathetic to Liam’s plight. Speaking today (wed) , Liam said: “I argued with three joiners – Davy, Mark and Tan – that sparks are the superior trade.